Universal City Condo is a new condo project by Chestnut Hill Developments and is currently in pre- construction. Universal City Condos will be located at 1474 Bayly St, Bayly Street and Liverpool Road in Pickering. Universal City Condos will be a tower with mixed condo units. Located in walking distance to the Pickering GO station in South Downtown Pickering and minutes from shopping, Lake Ontario, beaches, trails and the 401. Pickering takes a giant leap into the future with a spectacular, visionary, new destination. 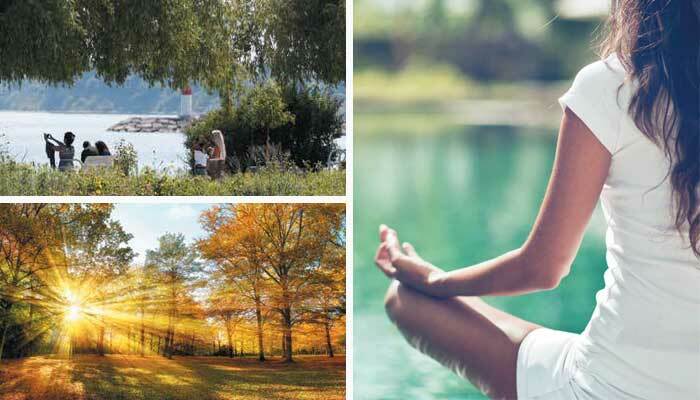 Universal City, a master-planned urban community, steps from Pickering Town Centre, GO station, Highway 401 and more. A stunning community of residential towers and convenient retail designed to offer the next level of modern, urban living. The future is here in Pickering, the fastest growing city in Durham Region. Downtown Pickering is a flourishing municipality which is situated just east of Scarborough in the Durham Area Region. It is going to be a major hub for jobs and people moving forward, since it is considered to be one of the designated growth areas in the Province’s Places to Grow Act. The plan designates certain locations for growth in a coordinated and strategic way. By building up, it helps to curb urban sprawl and by protecting large portions of the Province’s greenbelt. The developer for Universal City is setting an urban precedence in pioneering the development of new condo builds in this region. Come to expect Chestnut Hill Developments to offer a luxury mixed-use building that houses retail and commercial space, including live-work units that consist of one bedroom up to two bedrooms plus den layouts, accompanied with upgraded standard features and finishes like many of their other projects. Each dwelling may encompass an open concept design, floor to ceiling windows that allow for natural light to come indoors, expansive balconies or terraces offering charming views, 9’ foot ceilings where applicable and engineered hardwood flooring throughout. Kitchens are available in a collection of designs, which include your choice of quartz or granite countertops, cabinetry, glass or ceramic backsplash, chrome steel sinks with a single lever pull-out sprayer and stainless steel appliances. Bathroom(s) have corresponding modern features, including granite or quartz counters, custom-made vanity with a large frameless mirror with distinctive light fixtures and a deep soaker tub with chrome plumbing fixtures. All this is awaiting your own personal vision, touch and expression. Discover a whole new world of condominium living, register here today for priority access to Universal City Condos. First off, the building’s benevolently-appointed amenities will consist of a sleek, contemporary lobby area with ample seating, guided by a premium 24/7 concierge/security desk. Other luxuries the developer may incorporate, is a fitness centre with state-of-the-art equipment, saunas, change rooms, a stunningly designed party room with a chef-inspired kitchen and lounge area, an outdoor inclusive landscaped terrace, accompanied by a dining area with BBQ stations, loungers with surrounding cabanas and fire-pit, where you can just sit and relax and enjoy breathtaking views and much more. Soak in the the luxuries of such conveniences at this luxurious high-rise tower by having the site within close proximity to schools, nearby countless parks, big-box stores, the PIckering Recreation Complex, transportation, and shopping. 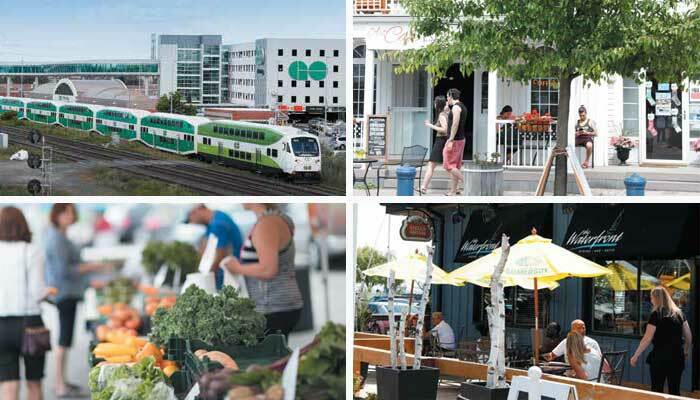 The Pickering GO station is a stone’s throw away, as is highway 401 and a 10-minute stroll to Frenchman’s Bay on Lake Ontario, where the waterfront region has been enliven with townhomes, a public square, cafes and retail shops and a beachfront park. Simply to the north, above the 401, you will find city hall and the Pickering Town Centre that provides many other professional services, in addition to many designer brands stores and a Cineplex movie theatre. The high-rise development “Universal City” will also be nearby a pedestrian bridge the city is planning to construct over Highway 401, linking the urban centre to south of the city. Over the next 15 years or so, Pickering is expected to lead the GTA in growth with an additional 35,000 new jobs, where the population is also expected to double in size. Presently it’s just under 100,000, however it is projected to rise to about 190,000 people, due to approvals and support from the city, to build DurhamLive, as many as 10-15 high-rise office buildings and residential towers in this high density urban corridor which is strategically located adjacent to highway 401 where it connects you to other major arterial roadways and alongside the GO Transit station. There are also numerous of bus routes that operate in the area making the commute a breeze. This growing city has a very affluent population overall. The average household income in is $114,000 which is incredible. If you are a potential buyer or an investor and are thinking, why Pickering?. The first thing is there’s an amazing potential rental pool for investors, buyers alike have great transportation to downtown Toronto, it’s only a 26 minute GO train ride which is non-stop express – directly into Union Station. In reality, of course, with any investment, you always have closing costs. The nice thing about it is you only have one land transfer tax here. The development charges are significantly lower than that in Toronto. With so much going on in this vibrant place itself, there is no reason to not consider taking up residency at Universal City Condos. Be one of many who will soon call this thriving metropolis home. Be part of the dynamic future of this fastest growing city in the Durham region. Secure your urban oasis suite now. It’ll be a decision you won’t soon regret. In 1981, Chestnut Hill Developments was founded. This developer believes that insight is power, and that is why they initiate each one of their projects with extensive market research. They adopt this understanding to create homes and communities that put their customers and homeowners first. Their philosophy is to deliver what people want with integrity and first-rate service, in low-rise, high-rise and mixed-use communities.